Hi guys! 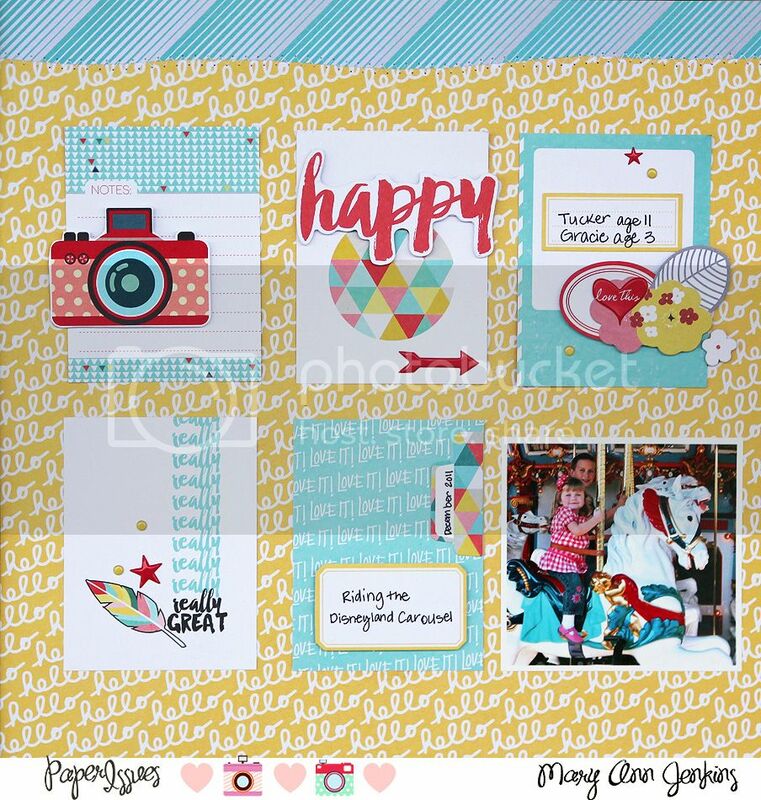 Today I have a new layout to share using one of this months free printables from Paper Issues. The cute little camera was printed on white cardstock, then cut out by hand. 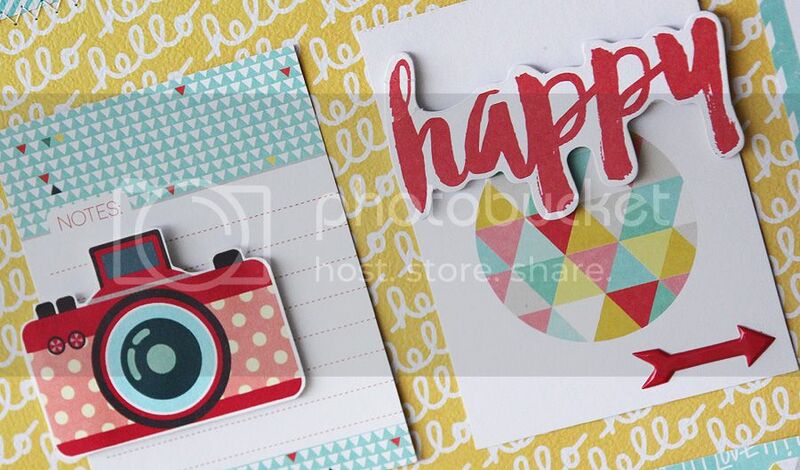 It was so quick and so simple to do, and I think it looks great with these papers and embellishments from the Happy Place collection by Fancy Pants!! Stop by the Paper Issues store to get your free printables, and while you're there, be sure to use code: Mary Ann to save 20% off everything in the store!! Love your grid design! Such a pretty page! Lovely design Mary Ann, such a pretty detail on top of your page, sewing a wave!